Penetration Aid- Bores into the biofilm matrix to allow the biocide to penetrate the surface of the biofilm and more effectively kill bacteria encased within the biofilm. Biocides alone do not get the job done. 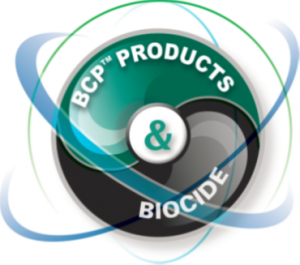 The addition of an organic deposit dispersant such as BCP™ 1015, BCP™ 2430, or BCP™ 2175 transform an ordinary industrial water treatment program into a Biofilm Control Program. 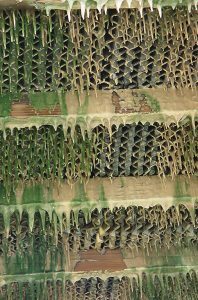 For a brief summary of the science and technology of biofilms and their control in our industry, please see the Biofilm Basics page. The visual results of adding an effective biodispersant into an industrial cooling water chemical treatment program are impressive. 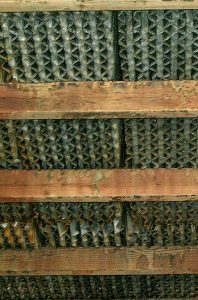 These before and after pictures illustrate the results of a good biofilm control program.